Whether you are new to mindfulness and meditation or have previous experience, you are invited to come and join us in this 6-week mindfulness meditation programme. This programme offers training in formal and informal mindfulness-based practices that mobilise our own inner resources which enable us to take greater care of our personal health and wellness. The overall intention of this programme is to learn practices that help us deepen our awareness of the present moment of our lives with an attitude of kindness, compassion and non-judgment. These practices support integration of body, mind and heart helping us to manage difficult experiences, create space for wise choices and develop a more compassionate relationship with ourselves and others regardless of our life’s circumstances. 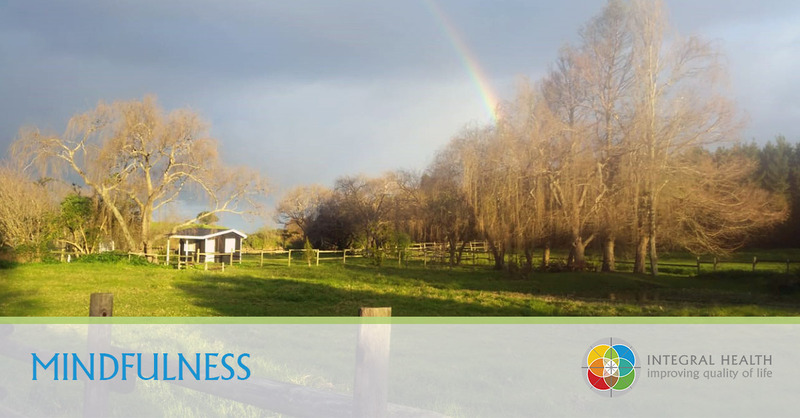 VENUE: The programme will be held in the nurturing space of the Integral Health studio set in the peaceful rural environment of Sweet Valley at the foot of Constantiaberg mountain. DATES AND TIMES: The programme starts on Tuesday 22nd January 2019 from 6 to 9pm and then on subsequent Tuesday evenings from 6.15 to 8.45pm ending on Tuesday 26th February 2019. FULL DAY RETREAT: The programme includes a full day “Open the Heart and Still the Mind” retreat which will be facilitated by Sue Cooper and Ingrid Regenass. 16th February 2019 from 9 for 9.30am to 4pm. Early bird rate: R3,200 if paid in full by 14th December 2018. Standard rate: R3,500 with a R1,000 (Non-refundable) deposit payable on booking to secure your place. The balance of R2,500 to be paid no later than two weeks prior to the commencement of the programme (by 9th January 2019). Proof of payment secures your place. A 30 minute pre-programme meeting – either in-person or online to determine if this programme is suitable at this time. (There will be no charge for this meeting if registering for the programme. A fee of R400 for this appointment will be charged if not registering for the programme). Six, weekly group classes of 2,5 hours each (first class is 3 hours). Teaching related to stress and mindfulness. Teaching of a variety of mindfulness meditations and practices. Home practice manual which include guided practices. Once I receive the online application form I will contact you regarding setting up a date for the pre-programme meeting. An invoice will be sent to you after this meeting. 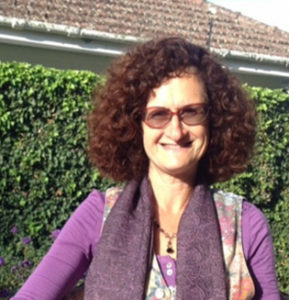 Ingrid is a mindfulness-based, Integral Health coach, in private practice in Cape Town. She has worked in the field of health promotion and wellness for over 30 years with qualifications in nursing, exercise and fitness, clinical nutrition, counselling, Coaching, TRE® (Tension and Trauma Release) and Mindfulness-Based Interventions. Over the years her work has evolved to include a variety of modalities, which she draws from to empower people to journey towards living a healthy, whole and fulfilling life. Mindfulness meditation is an integral part of her life. She offers a range of Mindfulness Programmes and regularly attends silent retreats; participates in mindfulness courses and attends a weekly mindfulness group to support her own practice and ongoing learning. 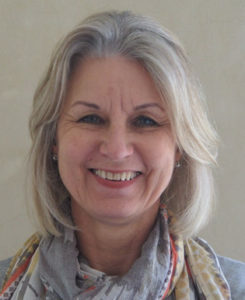 Sue is a clinical psychologist with extensive experience as a psychoanalytic psychotherapist, working in private practice in Cape Town since the early 1990s. She has a long-standing interest in the interface between psychological and spiritual approaches to self-discovery and inner healing, and has attended Buddhist meditation retreats, mainly in the Theravada tradition, for over 30 years, both in South Africa and at Gaia House in the UK. Sue offers weekend and longer ‘Open the Heart and Still the Mind’ silent retreats throughout South Africa, as well as courses, on-going weekly groups and monthly half-day/day retreats in and around Cape Town.